Amazon's Echo connected speaker will get some new powers later this year, while other device makers can add their own Echo-like functions. Amazon just announced two major initiatives for its Alexa voice assistant, which should make it much more useful and widespread. Currently, Alexa acts as the voice-activated virtual assistant behind Amazon’s Echo interactive speaker, letting users play music, listen to news and weather reports, ask questions, set reminders, control various smart home products, and shop from Amazon’s online store with voice. Echo just went on sale to the public earlier this week for $180, after several months of invite-only sales. Until now, Alexa has worked only with a select list of web services and devices. That’s changing with the launch of a free software development kit, allowing any Internet-connected product to support Alexa voice commands. For instance, StubHub will let users order concert tickets through their Echo speakers, and Intuit will let Mint.com users ask about their account balance or savings goals. Connected home products such as smart vacuums or sprinkler systems, could also tap into Alexa’s voice controls, going beyond the Philips Hue and Belkin WeMo controls that Echo supports now. Amazon isn’t just targeting its own Echo speaker. In addition to the software development kit, Amazon is also putting out a version of Alexa for third-party hardware, including TVs, sound systems, alarm clocks, and even cars. Wink and Scout Alarm are already planning to add Alexa voice controls to their products. The software development kit (known as Alexa Skills Kit) is launching as a preview now, with the first new capabilities coming later this year. A preview of Alexa Voice Service is coming next month. 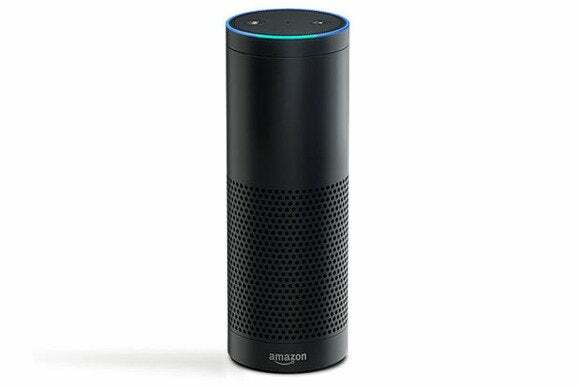 Amazon is also vowing to invest $100 million to companies that want to tap into Alexa voice controls. Why this matters: While the immediate impact of these announcements will be minimal, the implications are enormous. Amazon’s Alexa will be competing against the likes of Apple’s Siri and Google’s voice controls, but neither of those rivals are letting their voice controls appear on third-party hardware as well as software. Make no mistake, this is Amazon’s push to be everywhere you are, making your life easier while ensuring that you’re never more than a spoken word away from the company’s massive retail machine.